GrabHitch is all about building a social travelling community. Commuting to work daily in an empty car? Why not share your ride and pick up people who are going along the same way! You get to save on travel cost, meet new friends and also reduce the number of cars on the road! GrabHitch is a social ride-sharing platform that allows anyone with a car to pick-up and drop-off people going the same way in exchange for a fee. Imagine you are driving to JB Town and you tompang your neighbour because they are going the same way, well that is exactly what GrabHitch is all about! You get to pick the people you want to pick up who are going the same way as you are, so you don’t have to go out of your way to pick anyone. If you are in a hurry, you can always Hitch another day, there is no minimum driving requirement. What’s great about GrabHitch is that you get to meet new people and also earn some extra money along the way! It is flexible! You get to pick the passengers and choose the routes that you want to drive on. Great for networking, meet new people who work or stay around you! 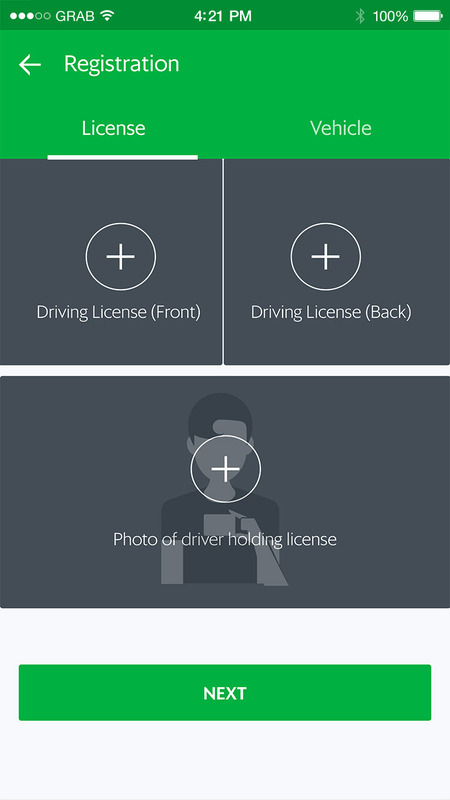 Be a GrabHitch Driver in 3 Simple Steps ! How do I do rides with GrabHitch? We take ZERO (0%) commission from your GrabHitch rides so you will earn full fares from the passengers you Hitch with! Both cash & GrabPay payment modes are supported, you always see the payment mode before you accept the job. Should I charge passengers for toll fares or additional waiting time? No, GrabHitch fares already includes additional charges. Do not charge your passengers for toll fares or additional waiting time. Yes you can! 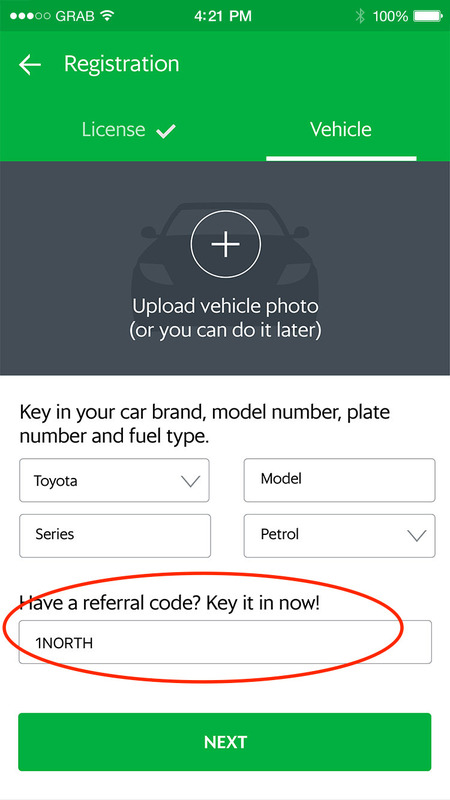 Simply sign up using your existing vehicle. 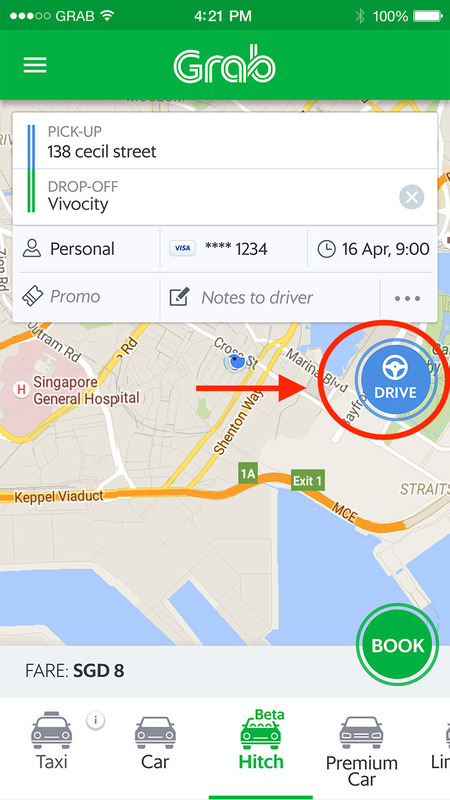 Note: For future vehicles changes, you need to change your GrabHitch information separately. For GrabHitch, simply update the GrabHitch team via email (grabhitch@grab.com) with your updates details.